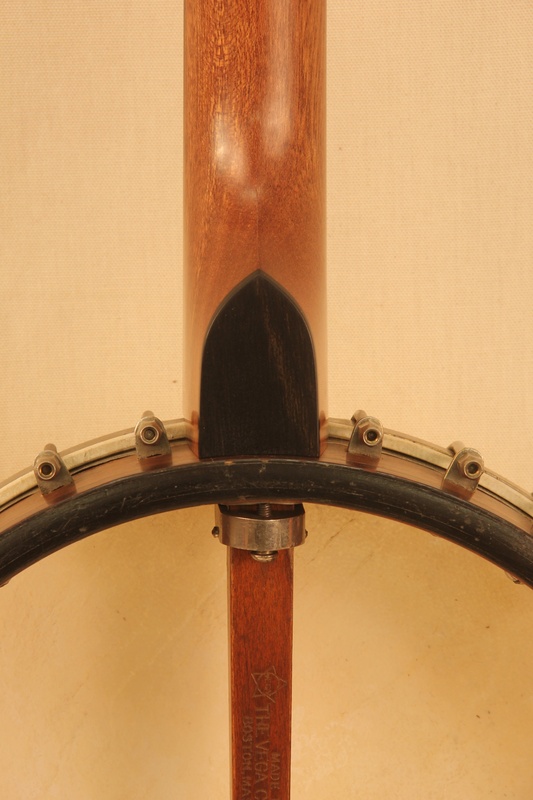 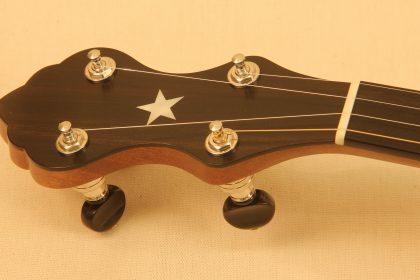 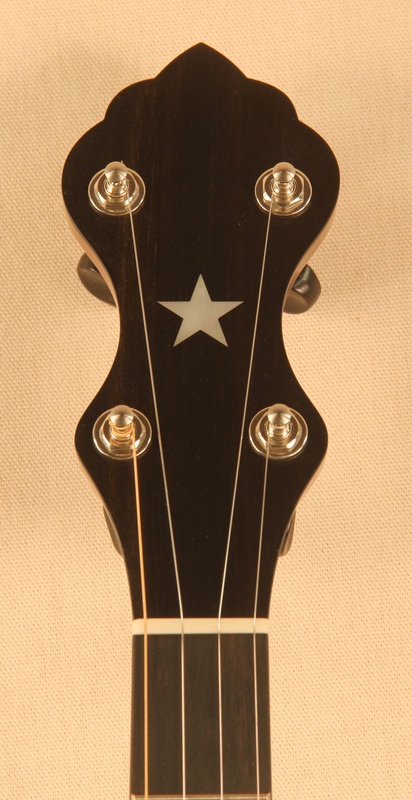 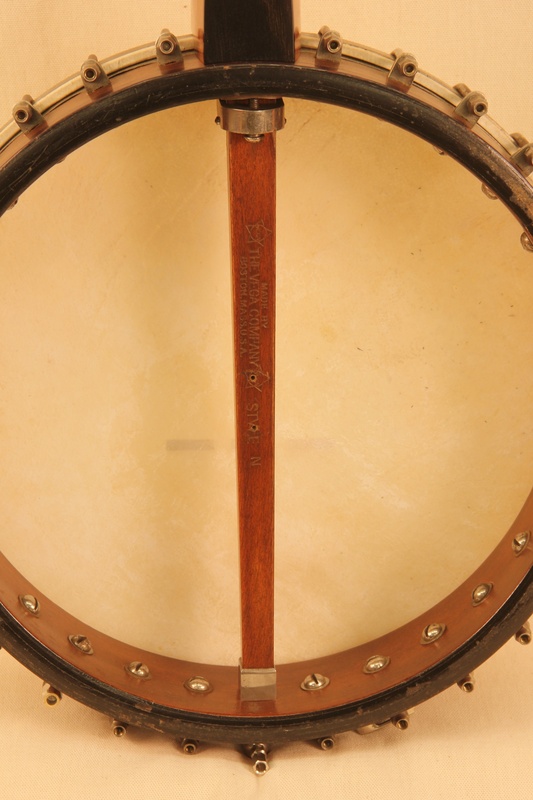 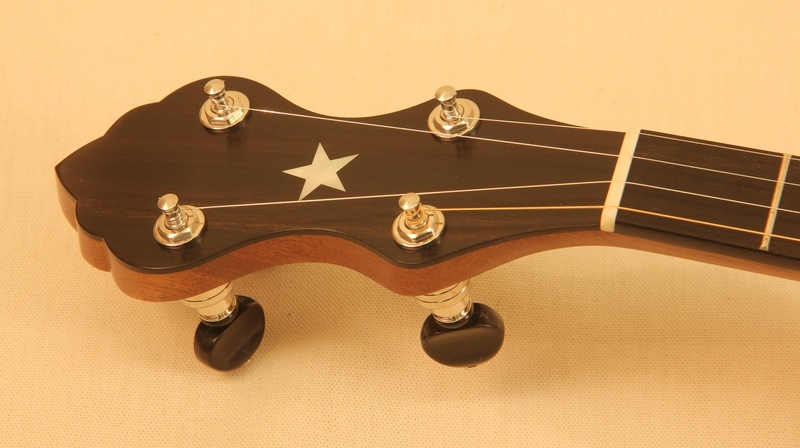 A 12″ Vega Little Wonder rim that, like many of these, was originally a tenor banjo. The neck was long gone and the owner happened to have a very nice piece of Santos Mahogany around that an old friend had given him many years ago. 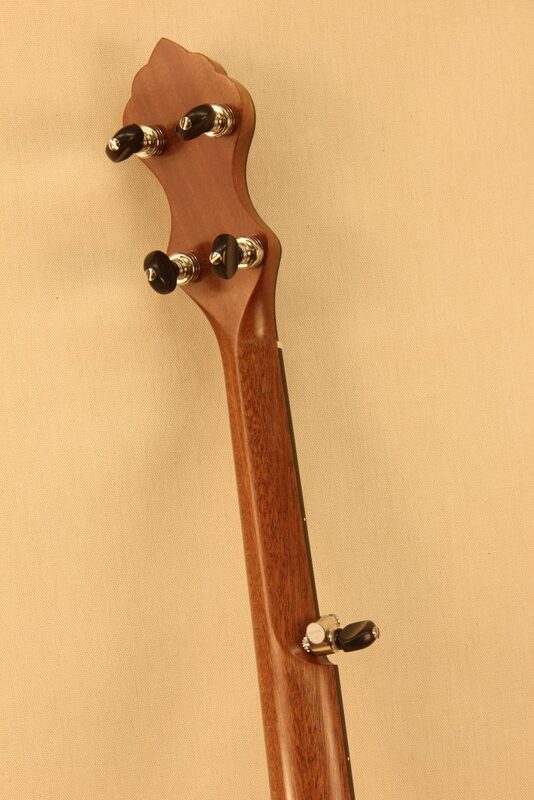 Sticking with a simple Vega aesthetic I created a new neck from the wood he sent. It turned out to be an excellent neck material and a perfect color match for the stained maple rim. 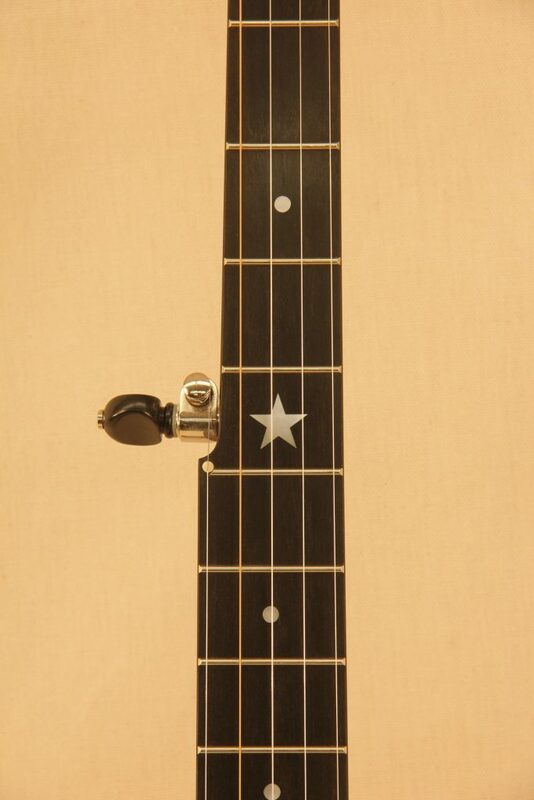 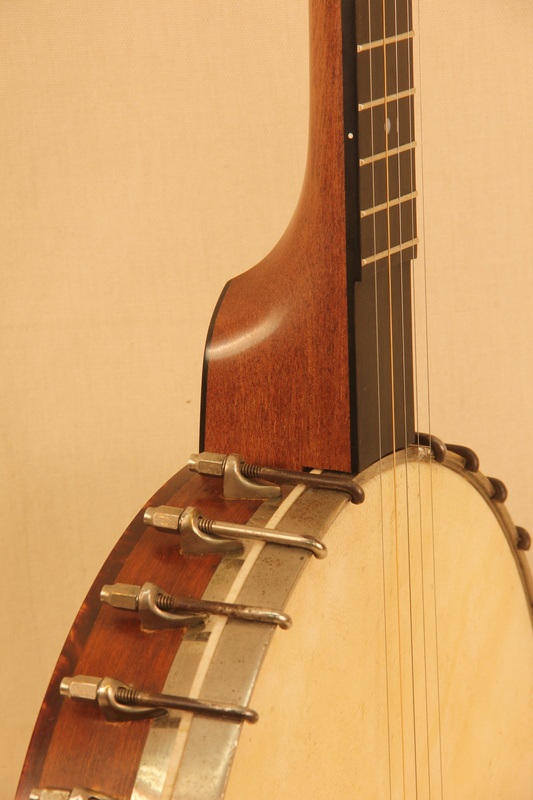 A simple adorned but extremely enjoyable banjo to play. 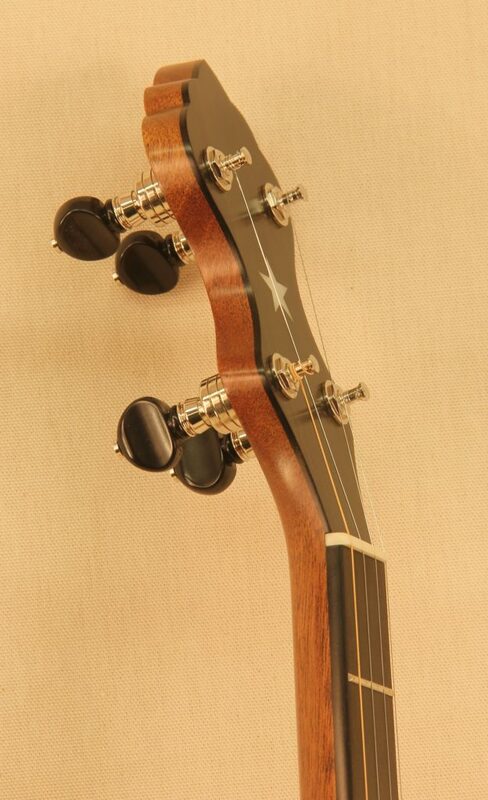 The Little Wonder rims and tone rings are often overlooked but they can have an excellent sound when setup correctly.